Here's what some of our customers have said about us. If you would like to post your testimonial, please complete the form at the bottom of this page. 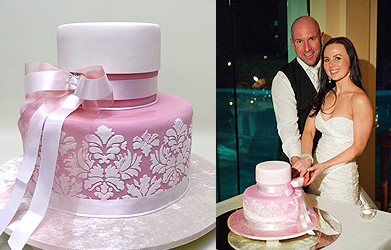 This website made organising a beautiful cake for a long distance wedding much easier! Just a quick note to advise the Fresh Fruit cake you supplied for my wife’s 50th birthday everybody loved, even the staff in the kitchen at the facility where we had the function said it looked so nice to eat and it was! We would just love to thank you for such a BEAUTIFUL wedding cake. It looked absolutely amazing. 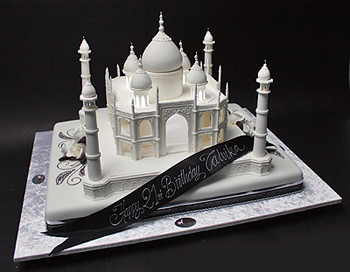 It was the ultimate Taj Mahal. I knew you made beautiful cakes but seeing the end result was absolutely stunning. The delicate artwork, attention to detail and overall model was spectacular. Who knew you can make sugar look so good. The cake also tasted amazing, even better than when we had cake tasting. We loved everything about this and thank you for making our special day even more beautiful. 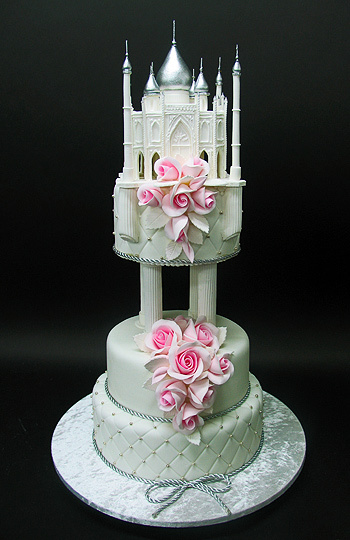 I was so sad to cut it but we kept the top tier. Once again, we are so thankful for your wonderful work and would recommend you to any of our friends. And Jo, lastly, you are just a lovely person from the moment we met you in Burleigh, and you made this a very easy choice for us to go with your company. WE really didn't shop anywhere else. P.S: All of our family loved the Taj Mahal. It event was made all the more special with the fantastic cake you made. Thanks again for changing the design and being so helpful. I am more than happy to recommend your service to anyone who asks! Hi Jo and the Team Thank you for that stunning cake. The cake was a definitely the highlight of the evening. Just about every guest wanted to know “Who made the Cake”? There were lots of photos taken of the cake. When it was the time to cut the cake there were lots of “Ooo’s - do not cut it.” It was a work of great art and we have retained the TAJ MAHAL top and only cut the bottom cake portion. The cake was delicious and the guests enjoyed it. 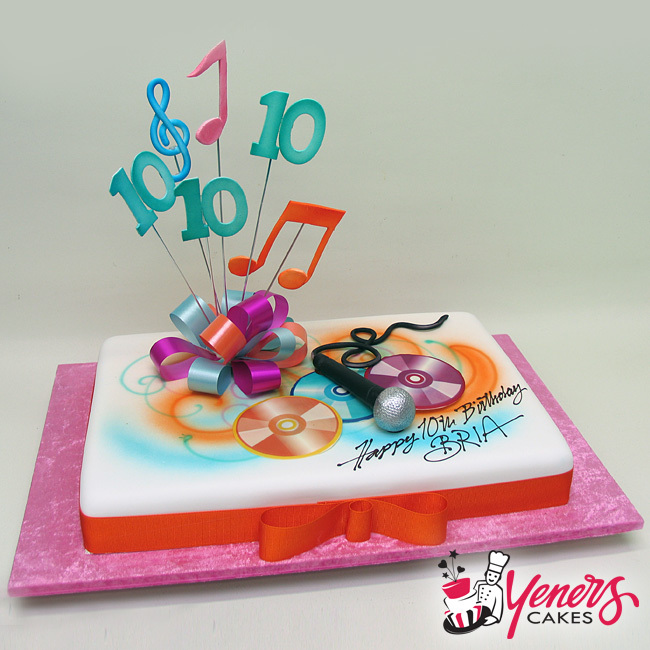 We will definitely recommend Yeners Cakes to our friends and family. 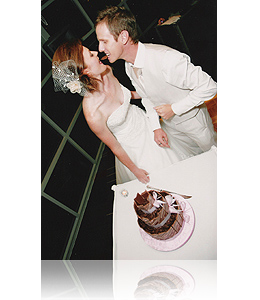 The whole process of arranging the cake was such a pleasure as there was only one meeting and everything else just fell into place – right to delivery and placing of the cake on the cake table at the Hotel. Once again a BIG THANK YOU! Many thanks for the fantastic job you and your staff did of Brias 10th Birthday cake, it looked better than I imagined and was thoroughly enjoyed by all. A huge thank you to you and your team for the wonderful cake for my clients wedding last week. The Bride and Groom were thrilled and the guests were amazed at how skilled and unique the cake was. It tasted great as well. I look forward to working with you again in the future. 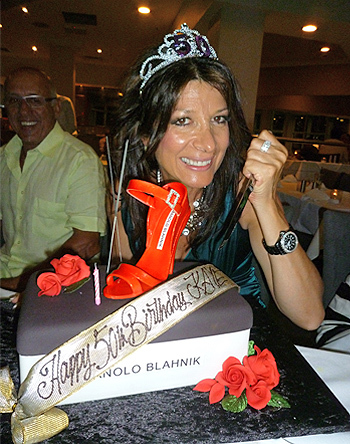 I just wanted to say a big thank you to yourself and Yener for such an amazing cake. Everyone loved it, especially Taisen. Such a beautiful cake and I'll be back again. It really made Taisen's bday celebration extra special. Thanks very much and enjoy the rest of your weekend. Thanks Yeners Cakes! The cake was awesome. 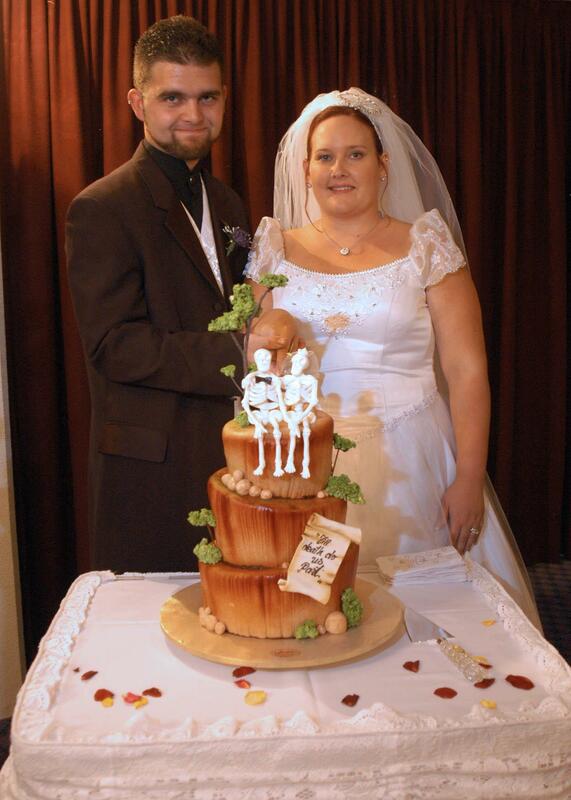 You guys made my wedding cake 6 years ago and people still to this day go on about how yummy it was, and it looked great. Thank you for designing a beautiful cake for me. It was exactly what I wanted and it was an absolute gem on the night receiving many compliments. 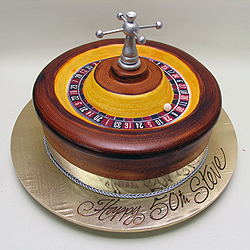 I would be happy if you used the cake in your portfolio - you will find some images attached. Thank you again - you have a wonderful gift! 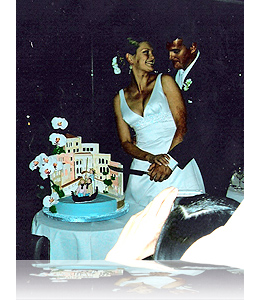 If I ever got married in Australia I would know at least one thing... where to get the cake!! Thank you so much for Deirdre’s beautiful cake. Excellent job. Yesterday I picked up the cake and I would like to say how impressed I was with the presentation of the cake. It was so yummy looking I am lucky that I made it home without any bite marks in it! When time came around for us to finally eat the cake (not soon enough! 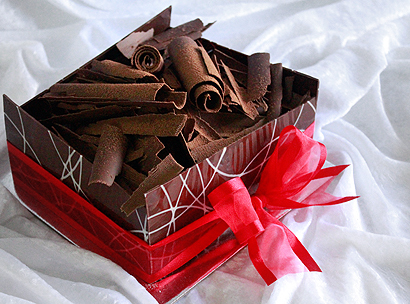 ), it was a very rich and delicious cake, that was an absolute delight to eat. Thank you. I better go now and run off all this chocolate! 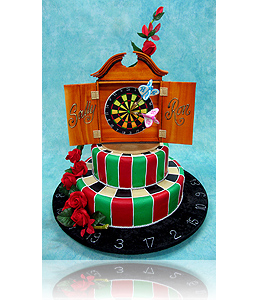 "We would like to send a huge thank you for our wedding cake in the design of a dart board! Those present at the ceremony and the many who have viewed the photographs were impressed that it was all edible, and, a Masterpiece." "The cake you had made with a skull edible image for Halloween was the most delicious cake we have ever tasted! My friends all loved it even a non-cake eater had second servings of it. Well Done! "Thank you for the wonderul James Bond cake for my son Peter's21st Birthday party last Friday. The James Bond clips on the cake looked fantastic with the gold bullets and the chocolate mud cake with the chocolate cream centre was delicious. Everyone enjoyed the cake and I will certainly recommend you to anyone looking for a special cake for an important occassion. well Done.."
"I had picked my grandparents anniversary cake yesterday. It was lovely, thank you very much. You made their 50th anniversary special. They said it was the most lovely cake they had ever had in their married life together and something they will never forget. Thank you again very much. 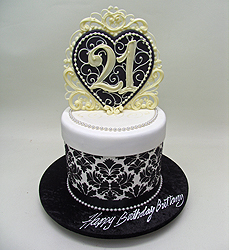 After using your company for my 21st birthday last year, I knew that the cake would make everything special. My partner and I will be getting married next year and we will certainly be using your services for the occassion. The detail and quality is first class. Thank you very much once again." "We would like to take this opportunity to thank you for helping to make our wedding day the most amazing day of our lives. You were able to bring to life exactly what we had imagined in our heads. The cake was an absolute masterpiece, and extremely delicious...perfect in every way! Your time and effort helped make our day extremely special; and that means a lot to us both. Thank you from the bottom of our hearts." 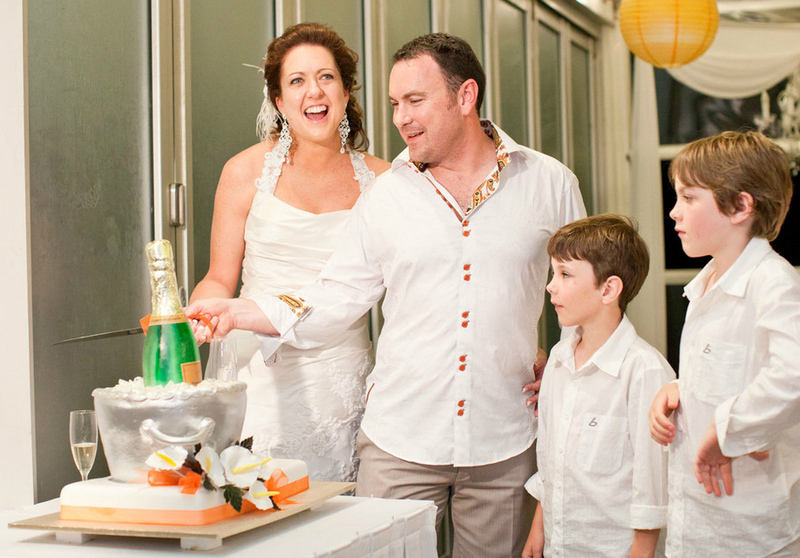 "Thank you so much for our gorgeous wedding cake! We have had so many comments on the workmanship, time and effort that was spent creating our special masterpiece. The photos we have taken will keep our memories alive forever! We will be recommending you to everyone. Ps. the white chocolate mud cake is absolutely delicious! 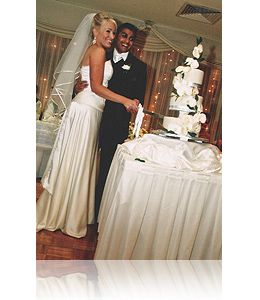 "Our wedding was beautiful, thank you for making us such a beautiful wedding cake. It was just what i wanted." 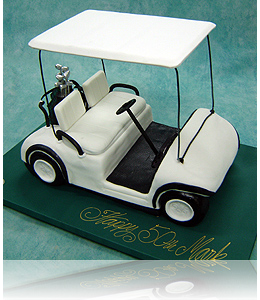 "I would just like to thank you very much for the fabulous cake you made for my husbands 50th birthday. It was excellent and everything that I could have hoped for. The cake was the talking point of the party and enjoyed by all as dessert, although we didn't want to cut it. Thank you so much for all your hard work in designing and creating my husbands birthday cake, it helped to make his special birthday a wonderful memory." "After tasting and seeing our friend's son's birthday cake (batman), my husband and I couldn't wait to order a cake for our son's 3rd birthday. We ordered a mud cake - yellow & black caterpillar digger in Dec 05. It was so fantastic that I didnt want to cut through it. 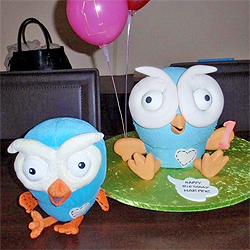 We will certainly be ordering another cake from you guys for our other son's 5th birthday." 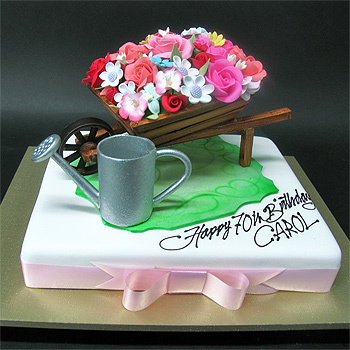 "Many thanks for my wonderful cake organised by my husband, Les. The cake fooled some poeple into thinking that Les had found me a massive bottle of Pewsey Vale Reisling. It has been the subject of conversation among my friends for months." "I would like to thank you for such a beautiful cake. I received wonderful comments all night and then when it was eaten the compliments continued. I even had poeple come back the next day for more. My daughter and husband were especially surprised at how beautiful it was. I hope I have more opportunities to use you again and I will not hesitate to recommend you to friends. 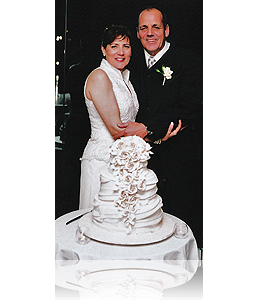 "We can't thank you enough for making our spectacular wedding cake! It was just beautiful, you captured the moment of our engagement so beautifully, we are so greatful." the submit button. The code is not case sensitive. Your submission will be reviewed and posted within 48 hours. depending on the size of the files.